New York City – the bustling metropolis made up of 5 Boroughs (Manhattan, the Bronx, Brooklyn, Queens, and Staten Island) with a burgeoning total permanent population of 8.4Million people. While the Boroughs are distinct in terms of municipal government, they collectively form the legal city entity known as New York City. 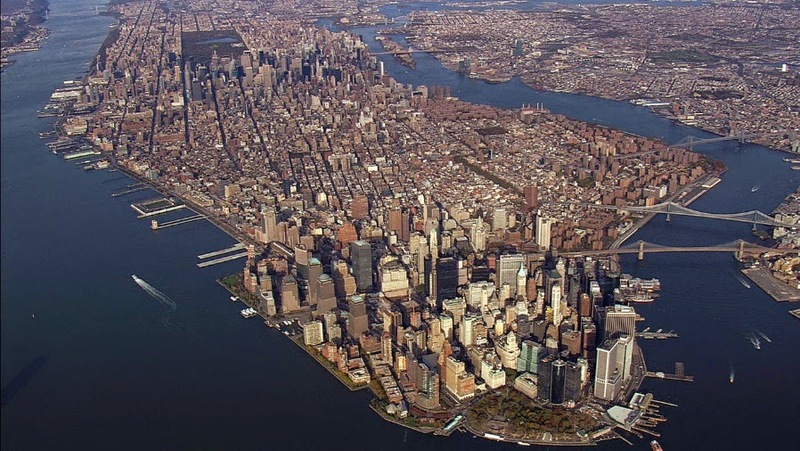 The Borough of Manhattan alone has a permanent population of 1,626,159 people, all in an area of 23 square miles located on the island of Manhattan. That’s an average of 70,702 people per square mile. And believe me, there are many of those 23 square miles that don’t have ANY residential capacity (office buildings, warehouses, streets, parks, etc). As much as 50% of that area is non-residential. A figure I have heard a number of times is a permanent population density in Manhattan of over 150,000 people per ‘residential square mile’. Think of a square, 5,280 feet long and 5,280 feet wide, and stuff 150,000 of your closest friends in there. It’s going to be a bit tight! No wonder the prevailing, and only solution in NYC is to go “up”. Residential towers that are 30 and 40 stories tall, with 3,500 units in them. It is believed that on a typical work day, the Borough of Manhattan’s population of 1.6Milllion swells to an astounding 2.8Million simply due to commuters coming into the city for work. That clearly is a logistical challenge, getting them all in, and then out of the city in a safe, timely way. Particularly since Manhattan is an island. So they all have to travel by bridge, subway, tunnel or ferry. Lots of potential bottlenecks. Add to that the average estimate of over 1Million “visitors” in Manhattan on any given day, and you are dealing with a Borough that has to accommodate roughly 4 Million people travelling, shopping, working, going to school, sightseeing, and just generally going about their business. As you can see, if ever there was a place that needed to look at how to make things “flow” well – NYC has to be it! I was in Manhattan a few weeks ago. Not my first rodeo there. I have been in NYC many times, and each time I marvel at how it manages to just work! Walk down 7th Avenue in midtown and just watch the hundreds, even thousands of people moving and migrating in all directions across busy intersections and sidewalks that are about 8 feet wide – around street vendors carts, fire hydrants, lamp posts, sandwich board signs, and at least 1 in 5 people just stopped, looking around in awe and amazement. 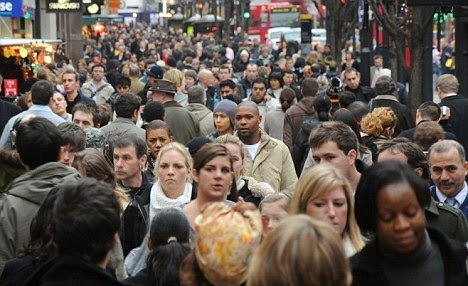 I’ve often thought of fluid dynamics as the analog for this constantly shifting sea of people. People just continue to move and flow, dynamically finding pathways through and around the dense crowds, obstacles and other barriers they encounter, moving toward their destination. It’s like watching a fast running stream find its way around rocks and boulders. But I digress. While there are so many examples of both well working and intentional “flow” as well as even more opportunities to improve “flow”, I want to focus on a particular example of a specific application of Lean we experienced on our recent trip. What would Manhattan be without a shopping trip! 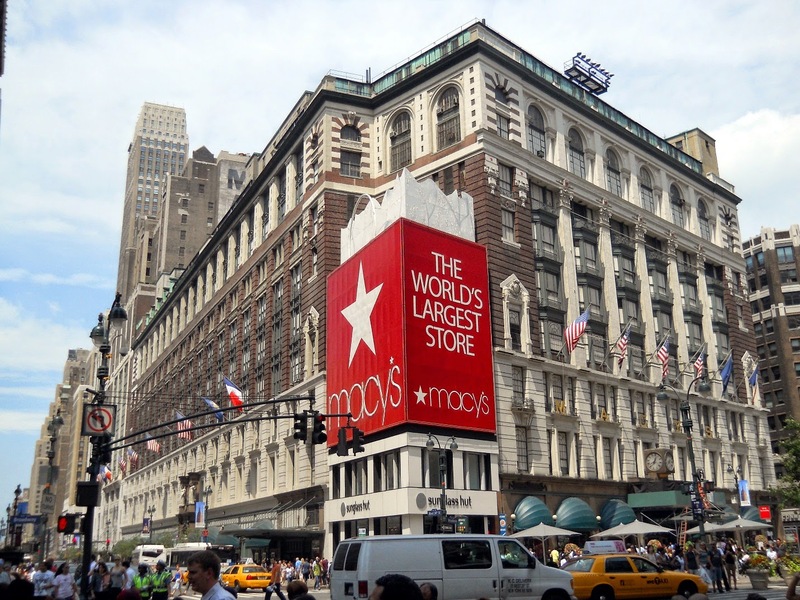 Macy’s flagship store is in Manhattan at 34th Street and Broadway, bounded on one side by Herald Square. It is 2.2Million square feet of shopping. 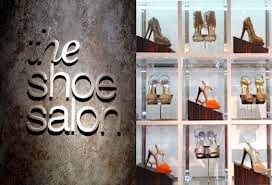 The 2nd floor “Shoe Salon” is a whopping 39,000 square feet alone. That particular retail floor underwent a complete makeover in 2010. Redesigned by Charles Sparks + Company (http://www.csparksco.com/portfolio-projects/macys-herald-square-nyc.php ), Macy’s Manhattan now boasts the world’s largest shoe floor! Not only was it upgraded esthetically, but also the way the floor works. How it runs. How it ‘flows’. On a normal business day (eg, not a big sale day), Macy’s can sell in excess of 2,500 pairs of shoes through that floor. In order to sell 2,500 pairs of shoes, they estimate that 3 to 4 times that many pairs of shoes are tried on. That means that 7,500 pairs of shoes are pulled from stock, brought out onto the floor, and then collected and returned to stock every day. While it was and is a shopping mecca on the surface, there were a number of operational issues that Macy’s needed to sort out to make the best use of that space from a retail perspective. · Retail space used for stock - the cost (and value) of retail space in mid-town Manhattan is extremely high – as much as $75/square foot (compared with $6 to $10 square foot in many other large urban area markets). Up to 7,000 square feet on that floor used to be reserved “behind the wall” as stock space on the shoe floor. · Shoe Safari – in order to get a shoe for a customer, the sales associates would have to leave the floor, and take the sample shoe that was on display back into the depths of the stock room to try and locate the same shoe in the size/colour that the customer asked for. That depended of course on being able to navigate their way through the stock-room-jungle, and hope that they could find the right section, locate the right model, and find the right size and colour, and return safely to the location they last saw the customer – of course, often while waiting, the customer has moved on to somewhere else on the floor and that is a whole new safari. · Multiple sales distraction – when a sales associate was asked “do you have this in a size 8”, they would start their safari to the stock room to check for the shoe, only to be approached by an average of 3 other customers while on their way to the stock room asking them to look for a shoe for them as well. Even with minimal distractions, it was often taking 5 minutes or more to get back to the customer with an answer (and preferably, the shoes they were looking for). They were losing sales because customers got tired of waiting. · A sea of un-loved shoes – with all of the time spent on shoe safari, shoes that had been brought out to the floor often stayed there, accumulating, piling up, and not going back into the stock room until after the store closed. That caused an unsightly mess on the retail floor, AND meant that if someone else was looking for that shoe in that size and colour, they couldn’t find it, because it wasn’t on the stock shelf but rather out under a chair or piled in a corner waiting to go back into the stock room. · Close, but…. – Once the sales person would return to the customer with the shoe, at least one third of the time the customer would then ask if they had it in a different colour, or a half size in either direction – which would start the process all over again. · Are you speaking my language? – with a shoe floor the size of two massive New York City blocks, sales associates were expected to be familiar with a particular ‘territory’. Shoes were organized in clusters by manufacturer with the associated stock in the behind-the-wall stock room near the display of shoes from that manufacturer. So if you were in the Cole Hann section, and asked a sales associate to go on a safari for you for a Cole Haan shoe, they were at least “in their territory”. But if you happened to have picked up a shoe from the Franco Sarta collection at the far end of the floor while looking around, then handed it to the Cole Haan guy – he would have to hike all the way down to the far end of the store to look for unfamiliar stock in an unfamiliar stock room, using unfamiliar stock codes and styles – abandoning his customers while he went to a foreign land. 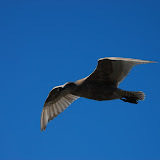 · What about Hoboken? – and if the sales associate finally came to the conclusion that they just didn’t have the exact shoe the customer was asking for, and if the customer had managed to stay patient that long, the customer would often ask “do you think the store in Hoboken might have it?” (replace “Hoboken” with a list of any Macy’s stores!). The sales associate would then go to the computer at the sales station, and start to search the master stock list – knowing that it was at least 24 hours old and just because it says there’s a pair of black, size 8 boots in Staten Island – it doesn’t mean they are still there. · What exactly do I do here? – With all of the time on safari, and having to retrace the steps for minor customer change requests (half size bigger, black instead of blue), etc – the sales associates spent much more time searching than doing what they are hired for – selling! It was pretty clear that this wasn’t the best way to sell shoes. So what was Macy’s to do next? Macy’s decided that it needed to think about this from a customer perspective (great start!). They sent a team in to discretely follow customers (at a distance) as they first came on the floor, through to when they left (they went to the Gemba), recording what was really happening on the floor. They decided to ask shoe floor customers what they liked about shopping at Macy’s (gathering the Voice of Customer), and more importantly, what frustrated them. And that’s just what they did. They sat down with some customers, some sales associates (Voice of Employee), and some vendors (Voice of Stakeholders) from their supply chain and asked them what they felt could make the shoe buying experience not only better (future state) – but the best experience they could imagine (dream state). Their focus was on how they could increase the value they created for their customer. Ø DON’T WASTE RETAIL SPACE FOR STOCK!!!! Now all they had to do was make it happen. One of the non-shoe-store retail innovators they looked at was Apple. They knew that if they walked into an Apple store, whomever they engaged with could search any stock they carried, locate it easily, and complete the transaction on-the-spot without having to send you to the “sales counter”. Apple had started doing this back in 2005. Why not at Macy’s too? Make it easy for me as a consumer to spend my money. That should be one of the retailers’ primary focus areas. Find a way to take payment on the spot. ü They redesigned the layout of the retail space (including the recovered 7,000 square feet). The display areas were updated, new brighter lights, quality decorative accessories, and most important, they laid out the display areas to optimize shopping. Based on sales history, they knew which manufacturers were complementary to others for any given demographic, and they located the ones that tended to be shopped by the same demographic next to each other in order to make it easy for the customer. They essentially discovered and “paved the cowpaths”. ü They implemented mobile payment capabilities on the sales associates hand held scanners, allowing them to take payment directly from the customer – no more passing them on to the line ups at the cash register counters. ü They designed and implemented a process stream for the handling of stock and inventory as a “pull” model – based on customer demand. So how does it all work now? What actually happens on the Shoe floor? ü Sales associates are still positioned throughout the shoe sales floor – though they are less confined to a single manufacturer or brand. ü They each have a wifi mobile device to look up stock, request stock to the floor, search real-time inventories, and take (non-cash) payment. ü There are at least 2 sales associates per brand collection at all times on the floor, sometimes three. ü Sales associates have been trained to watch for customers carrying single shoes around in their hands so they can approach the customer to ask if they can get a particular size for them. ü Sales associates are trained in advanced customer service skills and focus on customer engagement (as opposed to stock-safaris). ü Because they don’t need to leave the floor, they can spend more time engaged with customers and actually selling shoes. ü If a customer decides to buy one or more pairs of shoes, the sales associate offers to complete the transaction right there. They scan the product again as a ‘sale’, and take payment by scanning a credit card into the mobile Point-of-sale system. This both completes the cash transaction, and removes that item from the stock inventory list in real time. ü There is an inventory management “stock-picking” team located in the basement area where all shoe stock is now located. ü The stock-picking team have mobile devices too. When a sales associate clicks on a particular shoe (size, colour, style) – that gets immediately transmitted to the stock picking team who find the shoe, scan it off the shelf (indicating in the inventory system that it has been pulled but is not yet sold), and puts the shoes in the dumb-waiter for transport to the shoe floor. ü There are a team of discrete “shoe-runners” on the shoe floor, discretely located near 3 dumb-waiters. ü Shoe-runners have mobile devices that indicate which shoes are on their way up, and which sales person they are meant for. The shoe-runner takes any shoes that have come up the dumb waiter, scans them (to indicate that they are now on the floor) and then makes a loop dropping them off to their respective sales associates. ü Once a “drop off” run is complete, the shoe-runner makes one more circle of their area picking up any shoes that had been delivered but not taken by the customer. These are scanned and sent back down on the dumb waiter. ü The stock-picking team will take the returned shoes off the dumb waiter, and replace them on the stock shelf, with one last scan to indicate they are back in the stock room location again. 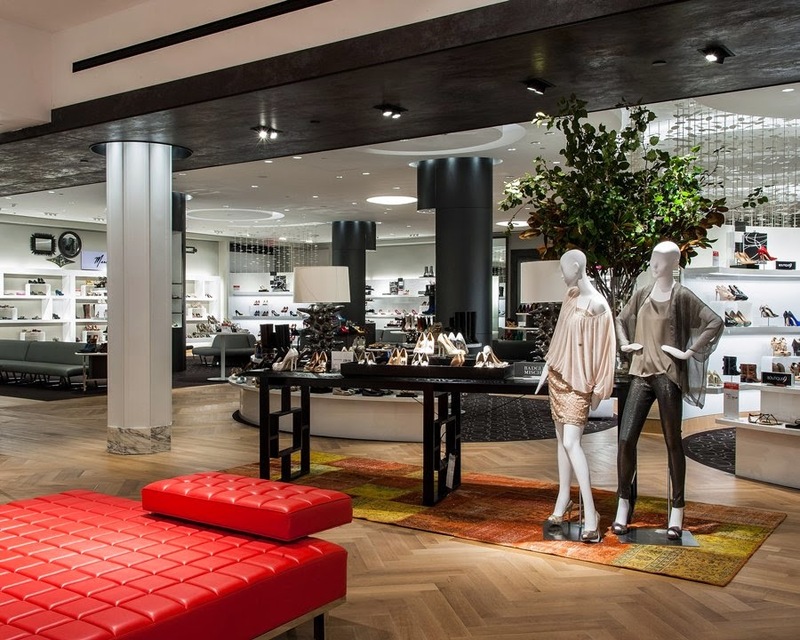 For the Customer: Now, when a customer comes off the escalator onto the 2nd floor of Macy’s flagship store in downtown Manhattan, they are greeted by bright, neat and tidy, enticing and appealing visual layouts and displays across the 39,000 square feet of shoe shopping. The sales associates are attentive, engaging, and are focused on helping you from “just looking” to “thanks for your purchase today”. Once you are on the floor, find a shoe and ask the sales associate if they have your size and/or colour, you will be trying your shoe on in less than 3 minutes. The average time for the simplest transaction (a customer looking for a single pair of shoes) has been reduced to 5 minutes. For the Sales Associate: They spend their time engaging and meeting the needs of the customers. Doing what they were hired to do, sales. Resulting in a much higher level of job satisfaction and morale. For Macy’s: They are leveraging the best use of one of their most expensive assets, floor space. No longer tying up valuable retail space for non-retail use. They are selling more shoes. They are satisfying customers. The shoe salon on the second floor of Macy’s flagship store in Manhattan is an esthetically pleasing, neat and tidy, well-choreographed ballet now. And to the typical customer, they don’t even realize it. Which is the point. It runs so smoothly, and engages the customers in a superior sales experience. And for shoppers, whether on a mission or just casually looking around, they make it easy for you to spend your money. When I asked the shoe sales associate we interacted with about these changes since 2010, he said they were ‘purposeful’ and ‘designed to improve the customer experience’. I asked if he had ever heard the term “Lean” used in relation to the redesign. His answer: “I think I am less “lean” than before because I don’t have to hunt the 39,000 square feet of store for every pair of shoes a customer asks for!.” Doesn’t matter what you call it, it’s the results that will speak for themselves. A customer will shop for their shoe preferences, and as soon as they approach a sales associate, the sales associate can scan the barcode, and immediately on their device, they can see how many and what sizes are in stock. They can see different colour options available, and they can see what ‘alternative’ styles they might suggest if the exact size and colour is not in stock. 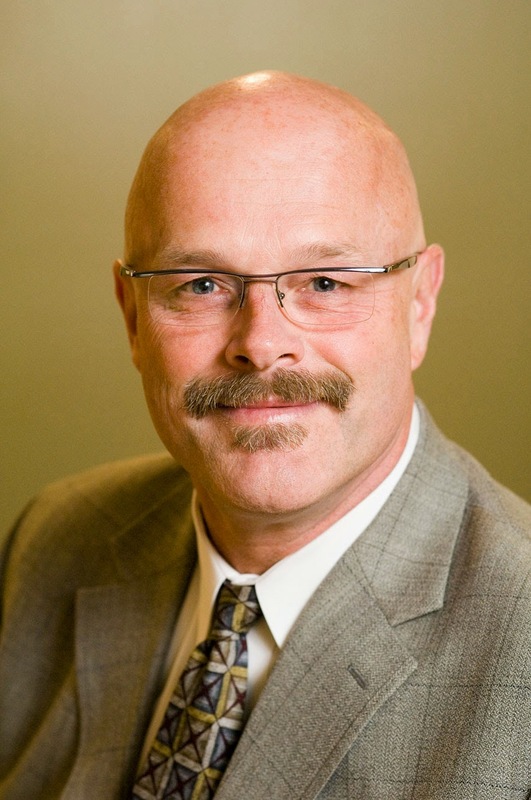 David Cresswell, Associate Director of Strategic Practices in I.T. Services at British Columbia Institute of Technology (BCIT) in Greater Vancouver, BC ( www.bcit.ca ). As part of his portfolio, David and his team are responsible for identifying, incubating and introducing new methodologies and practices to benefit the Institute. Lean is one of those methodologies that is being implemented through the Strategic Practices portfolio.